Courtesy of Major League Soccer Omar Salgado's shine has dimmed, as have his prospects for making the U.S. U-20 team. Wayne Rooney's younger brother John was taken by the New York Red Bulls on the second round. 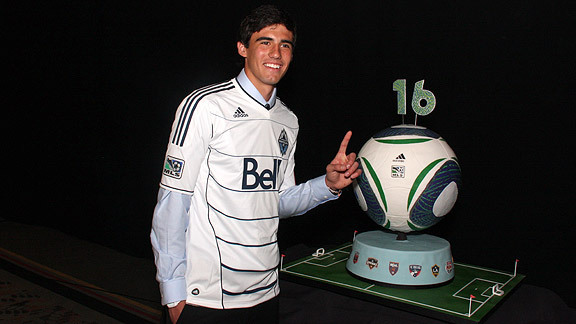 Salgado, who is from El Paso, Texas, spent 1½ years with Chivas Guadalajara, then signed with MLS and was loaned to Vancouver for three months last summer when the team competed in the U.S. Soccer Federation Division 2. Unless FIFA grants special permission, he will be ineligible to play for Vancouver's first team until Sept. 10, when he turns 18. FIFA bars players from transferring to clubs outside their country until their 18th birthday.